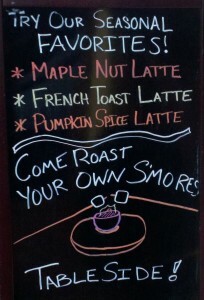 Madison Station, located at 851 Madison Avenue (just past Ruby Asian Bistro) is my newest highly regarded cafe. There’s just nothing like a locally-owned and operated establishment that is comfortable for either an afternoon of socializing or night of quiet productivity. This new cafe (which opened back in mid-September) has been built in what used to be a bar; it is fully renovated, and the atmosphere is stunning and immaculate. As an admirer of Adirondack-themed decor and soft lighting, Madison Station is a haven of relaxation and comfort for me. 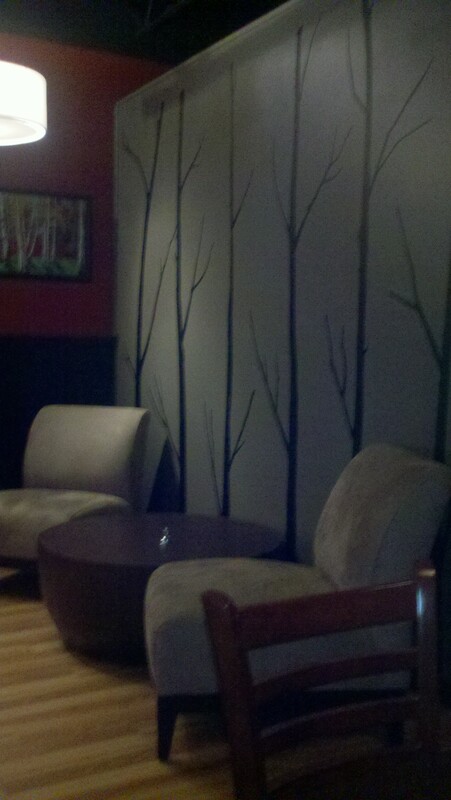 The walls sport forest-themed artwork and tree silhouette decals I would love to put in my future dream home. The place even HAS a bar, which for now I just refer to as the coffee bar. According to Steve Barnes of the Times Union, a liquor license is in the works. Personally, I find the prospect of just the coffee counter alone way more attractive and hope the offering of liquor won’t detract from what I deem as a really laid-back establishment. I have never been a bar person and always been a cafe person, so I am not sure yet what it will feel like to merge the two. Maybe I will be pleasantly surprised! 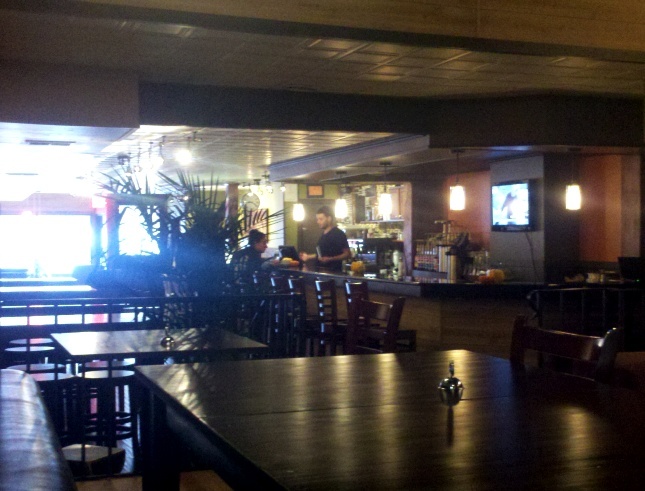 The menu includes soups, paninis and sandwiches, breakfast items, and of course a fabulous array of signature drinks. 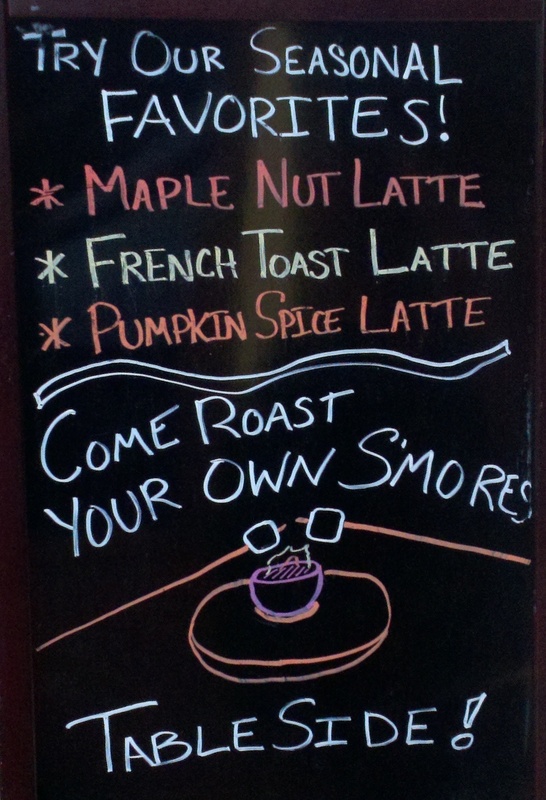 Consider the S’mores or Peanut Butter Cup Mochas… I haven’t tried them yet but am pretty intrigued! The prices are reasonable, also a plus. While Madison Station’s website is not yet functional, you can add them on Facebook and Twitter to hear about their specials and occasional news. With it being so close to St. Rose, I really encourage current students to check it out and support these young small business owners!